Development of an Industrial Park of 80 acres. Initial site servicing and land preparation to create 19 building sites, 11 were sold and 8 developed by PCI, either as built to suit or multi-tenant distribution facilities. 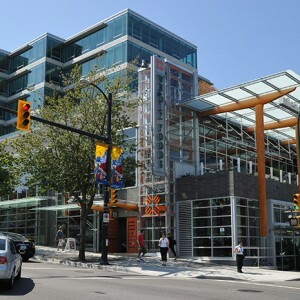 Located in Big Bend area of South Burnaby with convenient access to Marine Way and North Fraser Way. 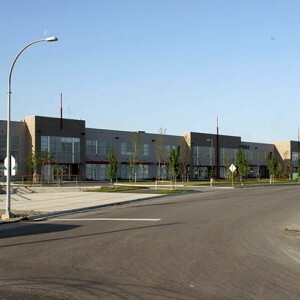 PCI partnered with Canadian pension funds in the development of Glenwood Industrial Estates in the development and servicing of the site and the development of the seven buildings described below. 18.4 acres was sold to purchasers such as Canadian Motion Pictures, A-1 Windows, Iron Mountain, Longo Developments, Upper Canada Forest Products, and Snow Cap Industries. These dynamic companies are engaged in storage, manufacturing, and entertainment industry uses on their properties. 17 acres was completed and sold to users in 2006. PCI also developed two service warehouse buildings known as Glenwood I (multi-tenant) and Glenwood II (single tenant). The first phase turned 32.3 acres into a campus-style development consisting of small- and large-bay, high-quality warehouse buildings for lease. The first building, Glenwood III (96,000 sq. ft.) completed in 2007, followed by Glenwood IV, V and VIII in 2008. Buildings total approximately 418,000 sq. ft. and were designed by Christopher Bozyk Architects. The last phase developed 11.3 acres into Glenwood VII, a large 225,000 sq. ft. facility completed in 2010.